Salt Lake County is a county located in the U.S. state of Utah. As of the 2010 census, the population was 1,029,655, making it the most populous county in Utah. Its county seat and largest city is Salt Lake City, the state capital. The county was created in 1850. 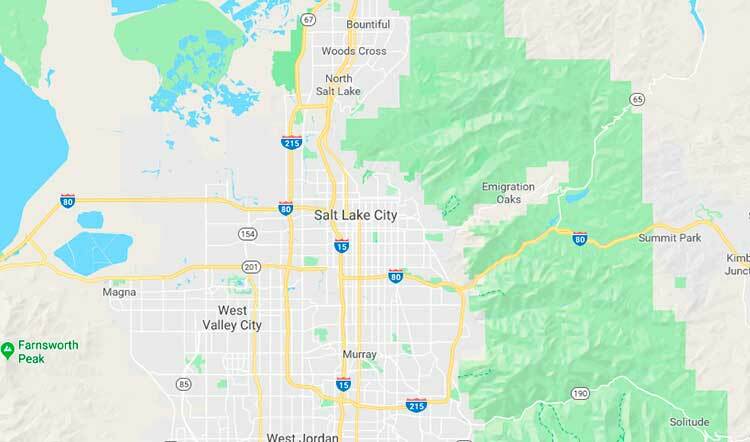 Salt Lake County occupies the Salt Lake Valley, as well as parts of the surrounding mountains, the Oquirrh Mountains to the west and the Wasatch Range to the east (essentially the entire Jordan River watershed north of the Traverse Mountains). In addition, the northwestern section of the county includes part of the Great Salt Lake. The county is noted for its ski resorts; Salt Lake City won the bid to host the 2002 Winter Olympics. According to the U.S. Census Bureau, the county has a total area of 807 square miles (2,090 km²), of which 742 square miles (1,920 km²) is land and 65 square miles (170 km²) (8.1%) is water. It is the fifth-smallest county in Utah by area. The county borders on the Great Salt Lake and is intersected by the Jordan River. According to estimates from the U.S. Census Bureau, as of 2016, there were 1,121,354 people in Salt Lake County. The racial makeup of the county was 71.8% non-Hispanic White, 2.0% Black, 1.4% Native American, 4.2% Asian, 1.7% Pacific Islander, and 2.7% from two or more races. 18.1% of the population were Hispanic or Latino of any race.